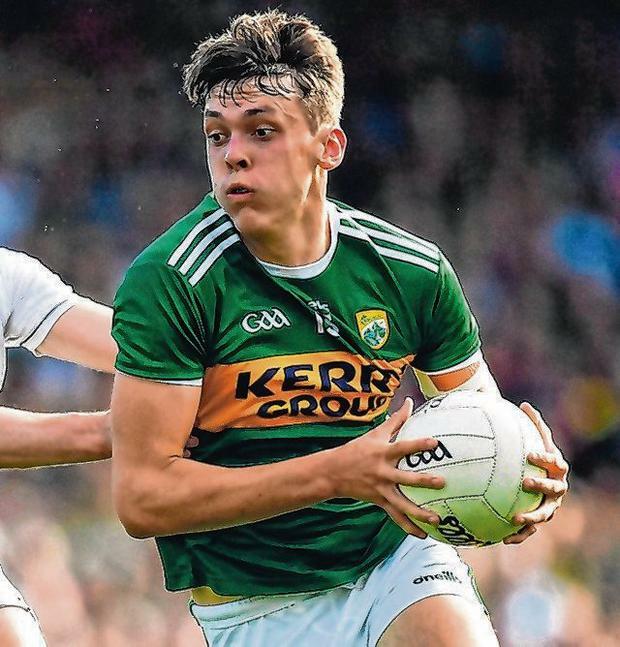 Kerry's bid to reach the Allianz League football final has been boosted by the return of David Clifford for the clash with Roscommon tomorrow. Last year's Young Footballer of the Year and All-Star corner-forward will have his first outing of the year after recovering from a shoulder injury. His return is a major boost for Kerry who need only a draw to book a place in the final. Even if they lose, they are still likely to reach the final as their scoring difference is superior to Galway and Mayo, the only other teams that can reach them on ten points. Irrespective of who wins the hurling league semi-finals, the final will have a novelty dimension. Galway v Dublin or Limerick v Waterford would be brand new pairings, while Galway v Limerick and Dublin v Waterford have each happened only once before. Limerick beat Galway in the 1997 final, while Dublin beat Waterford in 1939. A Galway v Limerick clash would be the first time that the league final was contested by the previous year's All-Ireland finalists since 1989 when Galway beat Tipperary. Despite Dublin's impressive win over Tipperary last Saturday, Limerick are overwhelming favourites to reach the final for the first time since 2006. Waterford beat Galway in their 1B clash two weeks ago, but the Tribesmen are slight favourites to reach the final for the second time in three seasons. No fewer than 21 of the 24 teams in the top three divisions in football have something to play for in what is the last round for all except Westmeath and Louth, whose Division 3 clash was postponed last weekend. Dublin, who can't reach the final and are well clear of relegation, are the only team in Division 1 with nothing at stake in their clash with Cavan. Kerry, Galway, Mayo and Tyrone are all in contention for a place in the final. Armagh are outside the promotion places and clear of relegation in Division 2 while Sligo are already doomed to drop into Division 4 next season. Armagh's clash with Cork is still very important as the Leesiders will be relegated to Division 3 if they lose. Even if they win, the fate hangs in the balance, depending on the result of the Tipperary v Clare game. Meanwhile, Pat O' Shea has informed the Dr Crokes squad that he is stepping down as manager after three years. The Kerry champions were well beaten by Corofin in the All-Ireland club final on St Patrick's Day.